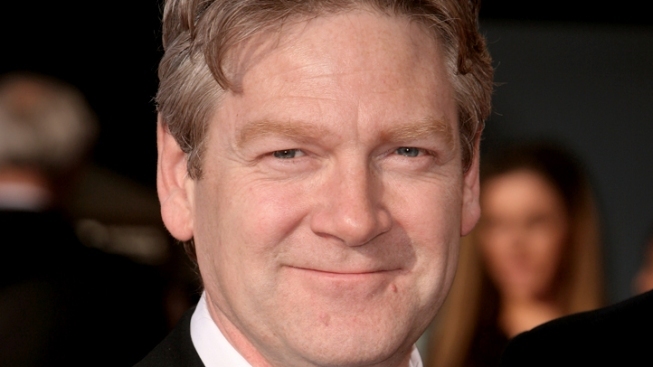 Kenneth Branagh: Directing "Thor" was a "Big, Big Thrill"
It only costs $437 million to reserve a firm sequel date. Was that so hard? As by far the toughest sell of all The Avengers, there were no guarantees that audiences would connect with a brash, arrogant thunder god and his New Mexico adventures. But they did, and Marvel not only breathed a HUGE sigh of relief, they pinned the Odinson down for another solo go around. So get ready for "Thor 2," coming July 2013. While star Chris Hemsworth will once again be wielding Mjolnir in the sequel, word is that director Kenneth Branagh will not be returning. However, Deadline is suggesting that he will stay on the godfather the film as a producer. Of course, there is no word on what kind of threats Thor will be facing this time around, and we're sure a lot of it will depend on what goes down in "The Avengers." The news of Branagh stepping away from the camera has us concerned, since he really nailed the tone and sense of fun that made the first "Thor" work. We're also not encouraged by the news that screenwriter Don Payne has been tapped to writer "Thor 2" (he was one of the contributing writers on the first "Thor," but his solo credits include two superhero face palms: "My Super Ex-Girlfriend" and "Fantastic Four: Rise of the Silver Surfer"). But you can make it up to us, Marvel. Now would be an awesome time to introduce Beta Ray Bill. PLEASE? If audiences can get onboard with a living Norse god who likes Pop-Tarts, clearly they are ready for a horse-faced alien Thor doppelganger. Right?